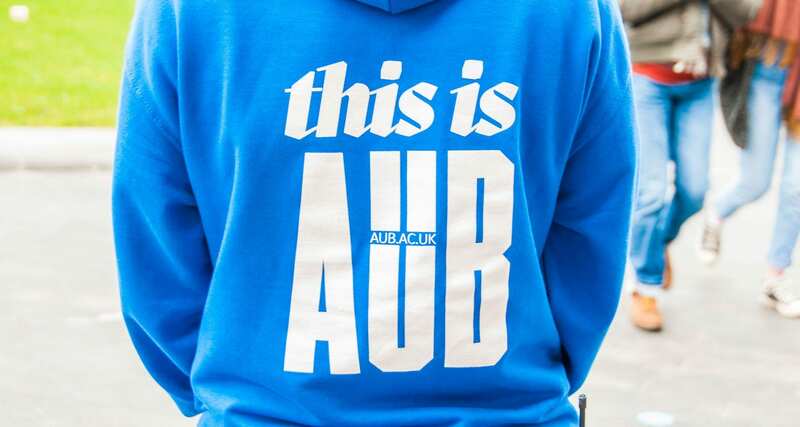 All pages contain a link to the home page by clicking on the AUB logo and all pages include a search box found on the top navigation. Images on this site are accompanied by a brief alternative text, where appropriate, which identifies an image or its function. This alternative text is generally only visible when the browser’s automatic image loading feature is turned off. PDFs can be read using Adobe Reader software, which is available for many different computer systems including Windows, Macintosh, Linux and Palm. To find out about accessible pdfs visit Access Adobe. For more help with Acrobat files generally and a link to download Acrobat Reader visit the Adobe site. The text on this site can be adjusted by using your browsers text size controls. In Internet Explorer this is done by going to the top menu and selecting ‘View’, then ‘Text Size’. Medium is the usual setting, so selecting Larger or Largest will increase the text size. Similarly in Safari choose ‘View’ from the menu bar and ‘Make Text Bigger/Smaller’ from the drop down list and ‘View’, ‘Text Size’ in Firefox. For Google Chrome, go to the View menu and choose ‘Zoom In’ or ‘Zoom Out’. As well as making all graphic templates as accessible as possible we have made sure that when printed, the pages are automatically formatted to print appropriately a printed document.